The route delivered every inch of the natural beauty and physical challenge promised. 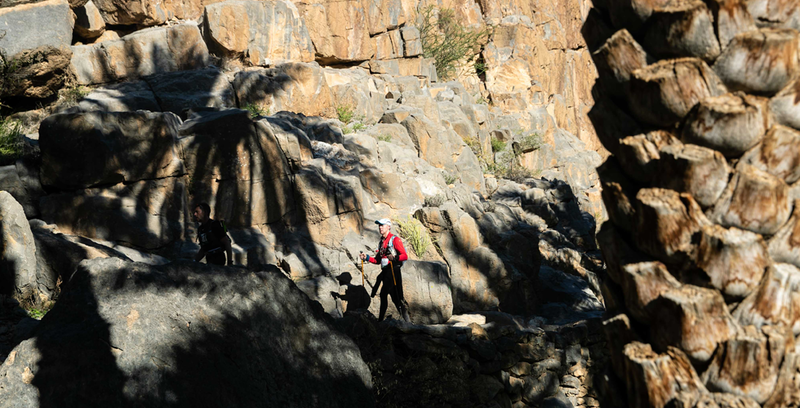 The runners took on the heights of Jebel Al Akhdar – the Green Mountain – ran through ancient, deserted villages such as Wadi Bani Habib, navigated stunning ridges and plateau edges at Sharaf Al Alamayn, before finally descending into the spectacular mountain village of Misfat Al Abriyyin and on to the finish. From the moment the joint winners Jason Schlarb and Diego ‘Zpeedy’ Pazos finished arm-in-arm in a time of 20 hours, 45 minutes and 37 seconds, a steady stream of runners have followed, each celebrating the completion of an epic challenge while being applauded by Omani spectators and well-wishers. Among them was the women’s race winner, British runner Anna-Marie Watson, who completed the course in 26:20:27, 49 minutes ahead of Hungarian athlete Ildiko Wermescher, with the well-known US ultra-trail runner Meredith Edwards coming home third 40 minutes later. Watson, a former British Army captain, was delighted to have been a part of the inaugural OMAN by UTMB®. “It’s been an amazing day – I can’t quite believe it to be honest, and to come in ninth overall as well was just the icing on the cake. OMAN by UTMB® attracted athletes from 57 countries around the world, as well as a 47-strong local contingent of Omani runners who were led home by Hamdan Al Khatri, who finished 19th in a time of 29:04:10. The last runner to complete the course was from Mumbai in India with a time of 43:58:32, one of four runners who sprinted to the finish to beat the cut-off. The finish line was finally closed at 15:30 local time, 44 hours after the international field of 329 ultra-trail athletes set off through the streets of Birkat Al Mouz on a course described as “tough but wonderful” by UTMB® Mont-Blanc Race Director Michel Poletti before the start. “Every single one of the runners deserves our respect and our congratulations,” said Salma Al Hashmi, Chief Marketing Officer at event organiser, Oman Sail. 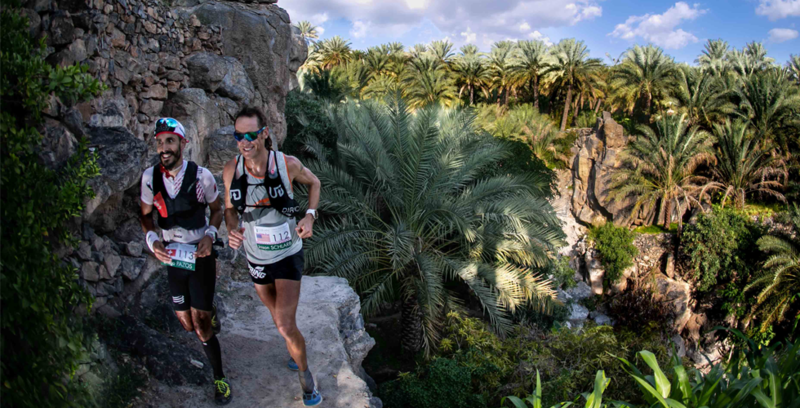 Registrations for Oman by UTMB® are now open!